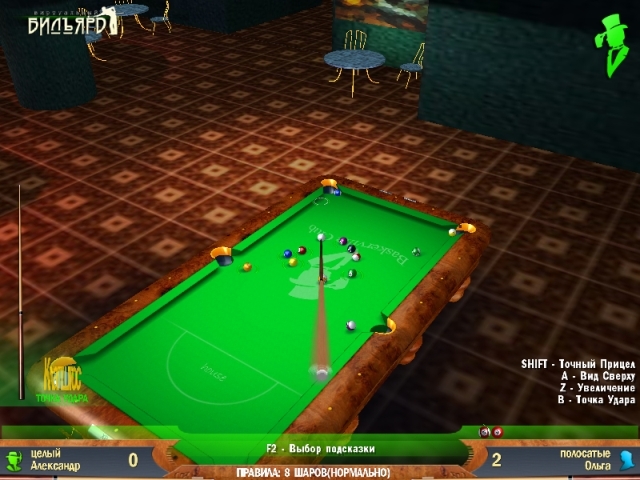 Pool simulator that will amaze its realism Eight, Nine, Snooker and other games. Want to play in the world-famous American Billiards without leaving home? Then this game is for you! Rules of the game, a game table, balls - everything is real! You only need to fix the cue to strike a blow coming and implement movement of the mouse! Like it? Then go ahead! Pool simulator that will amaze its realism Eight, Nine, Snooker and other games. Want to play in the world-famous American Billiards without leaving home? Then this game is for you! Rules of the game, a game table, balls - everything is real! You only need to fix the cue to strike a blow coming and implement movement of the mouse! Like it? Then go ahead!